👍 96.79% of buyers said they were satisfied. An auger-type drill bit that spins inside a hollow four-sided chisel secured to the mortise. The bit itself hocks into a drill chuck inside the head of the machine. When you pull down the mortise’s feed lever, the bit and chisel plunge simultaneously into your workpiece. Like all drill bits, this bores a hole and ejects the chips. Meanwhile, the four sharp edges of the chisel pare the wood around the bored hole into a square shape. It removes waste as well through a chip ejection slot in the chisel. Standard chip design, easy to remove the side of wood chips, improve drilling efficiency. Bearing steel manufacturing, hardness is good. 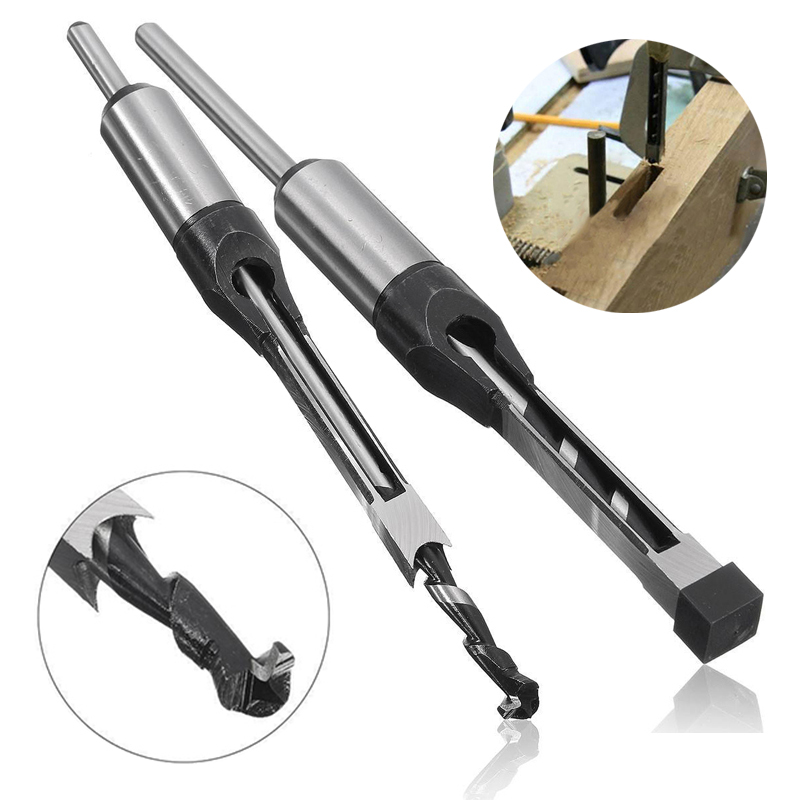 Square hoe drill/ Chisel angle is mainly used for woodworking. The square chisel mortises combine the cutting of a four-sided chisel with the action of a drill bit in the center. goods received, but still not tested working. efficient service and fast fitting for all praise מצויין product. thank you, the item looks great! Good tool. I dont try yet. Good Gadget Cheetah. need шуруповертом-does not work when purchasing please note! chuck with special machine need!!!! fast service didn’t try it look good quality but yet. st petersburg come to order within 35 days. заклеено and plastic square drill was put into the normal black, plastic bag. it is all the whole, not поврежденное. matches the description. Gadget Cheetah recommend. order satisfied. thank you. How difficult is it to wrap some bubblewrap around the item? The item’s box was totally wrecked. кривое drill, but have кретично! satisfied пришёл order tool at the right time of it. quality is good. shipment was quick. recommend! come смазанное drill, case is well packed into! peter 16 days! quality normal, but not tested in! need for use impact drill. used to take on test, порадовало quality. recommend to everyone. Great product as description, super fast delivery, excellent packaged and arrived intact without defect. Reliable supplier. order петербурге st 30 days after payment received. goods lost due to office in mail, but later found. external quality match the description, but turned square hole i do not yet. to’ll Gadget Cheetah, разъяснение given to, how to use. still not testei. looks good. i’m satisfied. good quality and arrived in time. Товар качественный, доставлен быстро, спасибо.